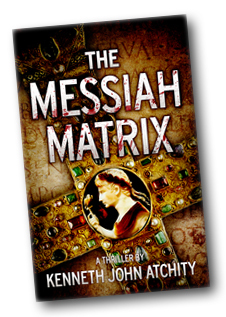 Novelist and story merchant Ken Atchity rejoins us for a discussion of how controversies in the Catholic Church, some of them surrounding the departure of Pope Benedict XVI (now Pope Emeritus), are affecting interest in his novel, The Messiah Matrix. As a scholar of history, Ken finds that faith, fiction and history intertwine in fascinating ways, and historical events such as the departure of a living pope have an effect on how the church is perceived, and perhaps, in how it will go forward. Check out Ken’s recent article in the Huffington Post, Good News from the Vatican.